An Excellent Adventure! | NJNA is Blogging! Sue and I drove to DC today and plan to tour the Woodlawn needlepoint exhibit tomorrow. Today, we braved the snow showers and made a side trip to Bedecked and Beadazzled in Lutherville, MD. 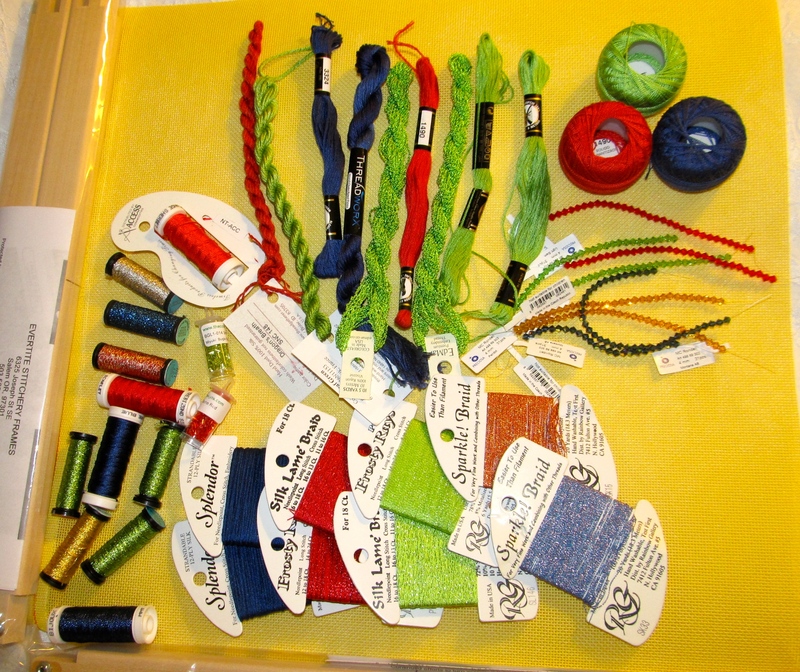 What a blast I had buying assorted threads and beads for Kurdy Bigg’s “A Different View”! Our SOTM group decided to do this beautiful piece in 2014. Do you see those three balls of thread in the upper right hand corner? I bought those Finca threads just because I thought they were so beautiful together. So what could be better than to use them as the base for MY “A Different View”? Stay tuned!